It has been a long time since I discovered an artist whose work I immediately wanted to see in the flesh. This used to happen all the time when I was younger, at the point in my life where I was discovering art history and the tropes of different eras gone by. I can remember getting numerous books out of the library and pouring over them with the concentration of a cat watching a mouse. Slowly over time I built a vocabulary of preference and a collection of my strongest influences – Egon Schiele being one of my most early and significant inspirations. I used to copy artists’ work in order to try and understand it as fully as I could; I would sit for hours on my bedroom floor curled over drawings, trying to highlight the muscular tones in echo of Michelangelo sketches, trying to alter the pressure points of my instruments in accordance with the energy of Schiele’s pencil work. Pages scattered all over the floor, smudges of charcoal and rubber detritus on my carpet. I took training myself in this way very seriously and it is something I have not done in a long time, but have been thinking about returning to recently. This urge to return to such vigorous study is derived not only from the fact that I am out of practice with drawing, but also given the collection of artists’ work I have recently been engaging with and seeing in exhibitions (most recently Egon Schiele and Francesca Woodman at Tate Liverpool, but more on that another time). 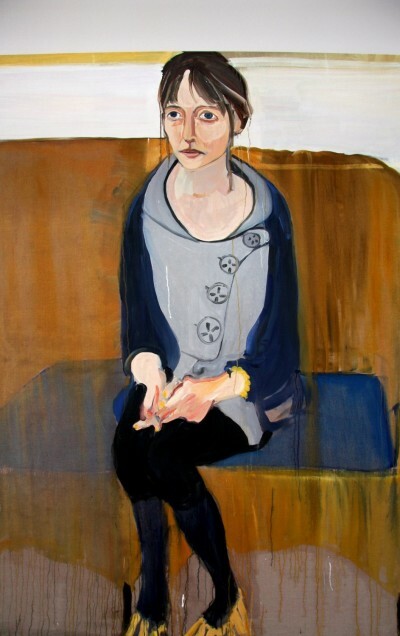 The latest body of work I have fallen in love with, is the art of Chantal Joffe. 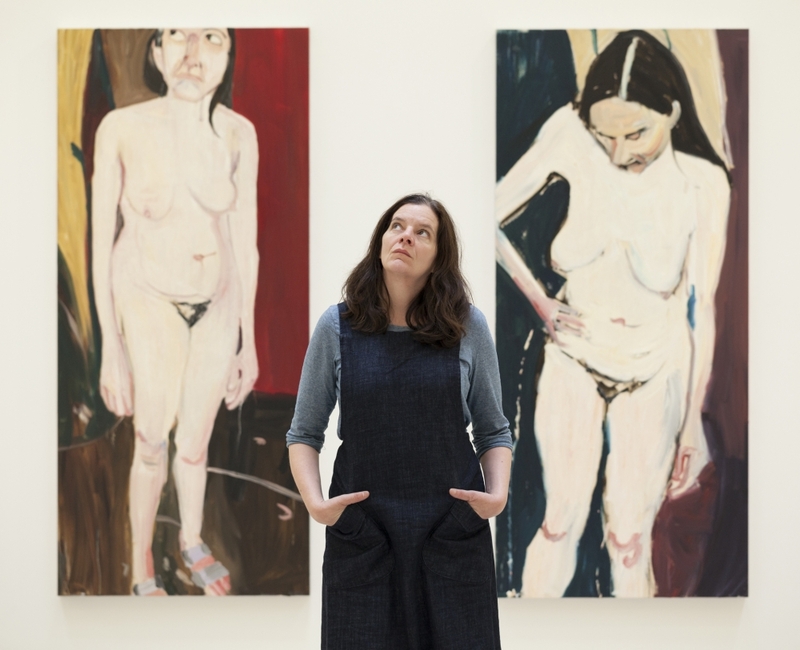 She is a portrait artist, based and working in London whose artwork primarily focuses on themes of maternity; often depicting mothers and children. Her sitters are mostly friends and family, with self-portraits also featuring heavily throughout her work. She is a figurative painter, but with a highly contemporary style; distorting angles, proportions and colours. Her painted elbows protrude at awkward off-angles and eyes appear goggle-like and wide; all seeing. Zesty green springs up in outlines, oil cascades down the canvas, brush strokes evoke the energy and personality of the sitter. Her work is raw, personal and emotive. It calls to mind several other painters, including the renowned Lucian Freud with his careful layering; Maria Lessing; with her gentle palette of pastel-coloured paints and Victoria Crowe; for her intimate depictions of her subjects. This sense of intimacy between subject and painter is what resonates most strongly with me in Joffe’s work. 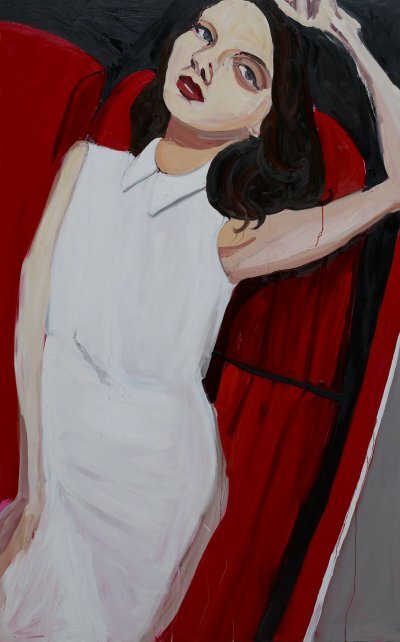 Her portraits convey an air of familiarity; her poses a sense of the ‘girl next door’. The paintings are paired back and have an elegant simplicity, allowing Joffe to fluidly depict the subject’s essence. It helps of course, that Joffe has a personal relationship with most of her sitters. I discovered her work through the writings of Olivia Laing, who is amongst those that have sat and posed for Joffe. 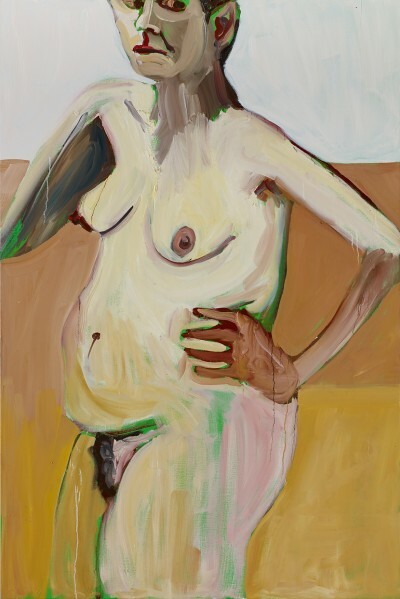 According to Laing, Joffe ”allows her sitters to possess themselves ”. The poses are far from constructed; instead they are embedded with a self-consciousness, a sense of self and independence in the sitter. Mothers embrace their children, women clasp their hands, people avert their gaze and Joffe captures these natural rhythms taken from motion and frozen in time through paint.